It can be amusing to see the lengths to which automakers go to create and maintain an image. What they avoid calling a product can be as revealing as what they do call it. 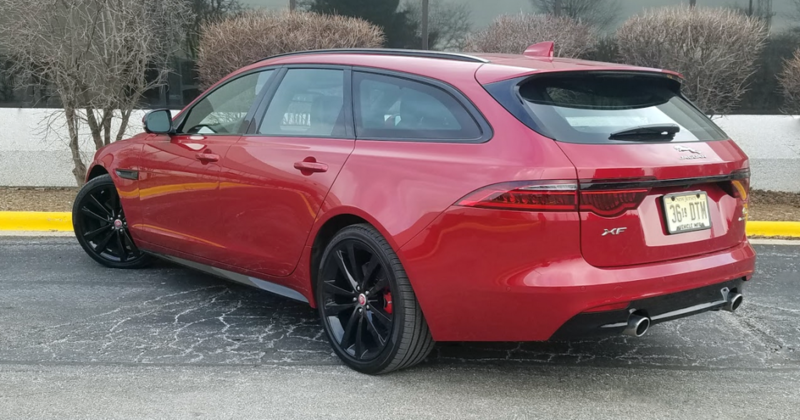 The new-for-2018 Jaguar XF Sportbrake is a station-wagon variant of the XF sedan; it offers extra cargo space and versatility without skimping on style. However, it starts at about $3500 more than its sedan counterpart. This brake has nothing to do with discs or calipers. Historically, it was a wagon for getting hunting parties of the landed gentry and their armaments to the field, hence the chiefly British term “shooting brake.” Even the earliest motorized ones had large enclosed bodies that looked somewhat like a, well, station wagon. But that chiefly American term conjures up visions of a Ford Country Squire packed to the gunwales with luggage and a sweaty family of six on the way to Mt. Rushmore in the summer of ’68. Jaguar is having none of that—oh no. Its long-roof, cargo-friendly, rear-hatch car is a Sportbrake, not a—one shudders at the mention—station wagon. The XF’s rotary-dial gear selector is unconventional, but our testers acclimated to it quickly. The rear seats can comfortably accommodate average-sized adults, though legroom can be tight behind a tall front-seat occupant. Whatever a Sportbrake may be, it is what it is. Cargo room is 31.7 cubic feet, or as much as 69.7 cubic feet with the second-row seat folded. That is 1.7 to 3.6 times the trunk space (19.1 cubic feet) available in an XF sedan. Cargo loads through a wide opening, at bumper height, and onto a flat floor. For additional space, the rear seat, which is divided in 40/20/40 sections, folds level with the load floor—an improvement on the sedan, where the retracted seats rest about 1.5 inch below the height of the trunk floor. All of this happens ahead of a power-assisted hands-free liftgate. 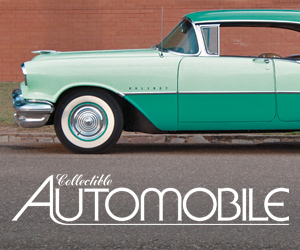 If that sounds like a station wagon to you, we won’t argue the point. Where XF sedans come with a choice of engines and rear- or all-wheel drive, the Sportbrake is only offered with AWD and a 380-horsepower supercharged V6. Both body types share a 116.5-inch wheelbase and are 195 inches long overall. However, at 57.8 inches high, the wagon is 0.4 of an inch lower than the sedan. Consumer Guide® tested the Sportbrake S model, which starts at $70,450. The only other variant is the First Edition with a few more standard tech features and uprated audio for an additional $1650. An especially large panoramic sunroof is a Sportbrake standard feature. It lets a lot of light into the cabin when the power sunshade is retracted, but no air–it’s a fixed sunroof that doesn’t open. Standard items fairly well match those of the XF S sedan, with appropriate substitutions or additions to suit a wagon. They include a liftgate-mounted spoiler, S body kit with specific bumpers and gloss-black lower-body highlights, gloss-black roof rails, red-painted brake calipers, 20-inch alloy wheels, LED adaptive headlamps with automatic high-beam control, “JaguarDrive” variable driving modes, adaptive-damping suspension, brake-enabled torque vectoring, leather upholstery, 14-way-adjustable heated sport-type front seats with memory settings, heated steering wheel, panoramic moonroof, keyless entry, rearview camera, driver-condition monitor, lane-keeping assist, blind-spot monitor with closing-vehicle sensing, rear cross-traffic alert, autonomous emergency braking, SD card navigation, 380-watt audio system with 8-inch touchscreen, satellite and HD radio, and Bluetooth connectivity. One important Sportbrake exclusive is self-leveling air suspension in place of rear coil springs. CG’s test car wasn’t confined to this, however. 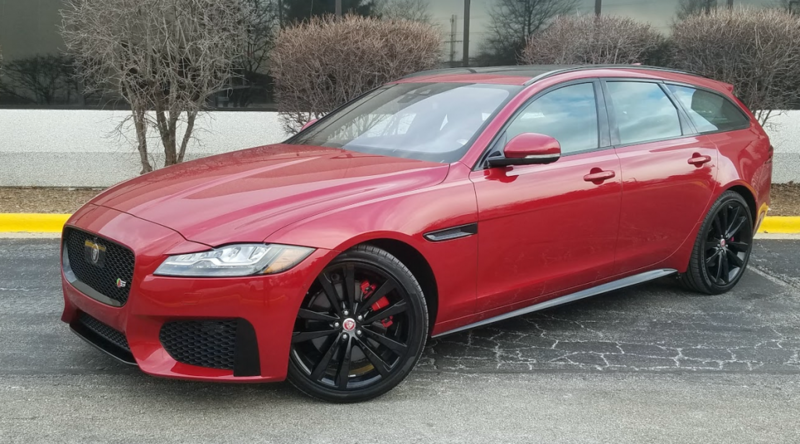 The final delivered price came to a hefty $84,815 thanks to items like Firenze Red metallic paint; gloss-black-finish wheels; and five appearance, comfort, and technology option packages. The option groups contributed a Wi-Fi hotspot, 10-inch screen with enhanced navigation, Meridian surround-sound audio, heated and cooled front seats, heated rear seats, 4-zone climate control (in place of dual-zone), and more. Extra-cost interior veneers, pricier paints, and a few stand-alone options present the opportunity to run the tab even higher. The Sportbrake’s cargo area obviously isn’t as tall as a typical 5-passenger crossover SUV’s, but it is a lot longer. The rear seatbacks fold flat and level to extend the cargo floor even further. At a curb weight of 4045 pounds, the wagon outweighs an all-wheel-drive S sedan by 165 pounds, and its 332 lb-ft of torque cedes 7 lb-ft to the engine in the sedan. Thus, Jaguar says, the wagon’s 5.3-second 0-60-mph time is 0.3 of a second slower than that of its running mate. If you’re the type whose measuring device for performance tends to be the seat of pants instead of a stopwatch, the Sportbrake S will feel a lot like its sedan companion: quick off the line with ample, rapidly developed midrange punch in highway driving, particularly in “Dynamic” mode. Plus, the engine is very quiet, even under determined acceleration. The smooth and efficient 8-speed automatic transmission kicks down smartly for worry-free passing. Road manners are comfortable and highly competent in “Normal” mode; firmer Dynamic improves steering feel, but also makes road-surface imperfections somewhat more obvious. A power-tempering “Eco” mode and standard stop/start are included to help save gas. The wagon’s EPA fuel-economy ratings of 18 mpg in the city, 25 mpg on the highway, and 21 mpg combined are two to three mpg behind the estimates for the comparable sedan. 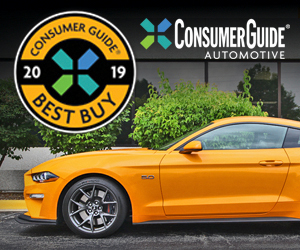 When this driver put 322.7 miles on the test car, mostly in the Normal setting and with 47 percent city-type driving, it returned 20.48 mpg. The XF Sportbrake doesn’t offer the powertrain choices of its sedan sibling; all-wheel drive is mandatory, and the lone engine is a supercharged 3.0-liter V6 that makes 380 horsepower. Front passengers occupy long-drive-comfortable seats and enjoy plenty of leg- and headroom. Rear-row seat backs are marginally less cosseting. There is pretty good room for legs and heads, though practical adult seating capacity is two. Thick windshield and door pillars reduce driver vision to those areas, but over-the-shoulder sightlines aren’t bad thanks to slim C-pillars and good-sized quarter windows. Thinly padded soft-touch surfaces cover the door tops, with cushier stuff on the dash and door armrests. A vehicle-information display between the speedometer and tachometer has multiple menus accessed by thumb buttons on the steering wheel. Thankfully, the XF does without an attention-grabbing central controller for audio, navigation, etc. The touchscreen shows four topical zones that open at a tap. Tuning and saving radio presets is a direct process. Climate controls are a little button-happy. Rear seats can be lowered remotely via buttons on the cargo bay’s right side. Personal-item storage is average. The glove box is sizeable but the console box is just about big enough to contain auxiliary and USB ports, a card slot for the navigation system, and a power point. Doors have substantial map pockets. Dual cup holders are provided in the console and built into the pull-down armrest in the rear. There are net pouches on the backs of the front seats and on the sidewalls of the cargo area. The Jaguar XF Sportbrake is good-looking car with a kind of gutty presence—for its type—that hasn’t been seen in America since the Dodge Magnum. It’s a stylish, convenient alternative to luxury SUVs for folks who don’t mind that it’s a station wagon. Passenger-car-based wagons have historically struggled against a dowdy image, but there’s nothing frumpy about the XF Sportbrake. In a new-vehicle marketplace that is quickly shifting toward crossover SUVs, the Sportbrake stands as a stylish “what’s old is new again” alternative to all those high-riding, tall-bodied crossovers. Written by: The Daily Drive staff on May 3, 2018.on February 25, 2019.